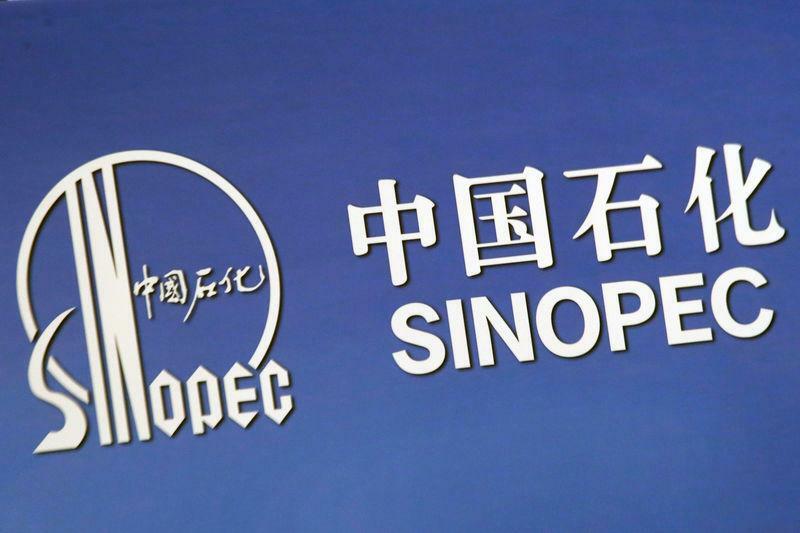 BEIJING/SINGAPORE (Reuters) - Sinopec Corp said its trading unit Unipec lost 4.65 billion yuan (525.64 million pounds) on crude oil hedging in the fourth quarter, one of China's largest derivatives trading losses in nearly a decade. Asia's top refiner, which said the loss had pulled down its fourth quarter profits, suspended Unipec President Chen Bo last month, citing unspecified trading losses. State-owned Sinopec still managed to report its best annual results since 2013 on Friday. "Investigations have shown Unipec has applied some inappropriate trading strategies in hedging crude oil business," the company said in a filing to the Shanghai Stock Exchange after the markets closed on Friday. "Because of wrong calls on the oil price moves, (the company) incurred losses on the futures side of the hedging when oil prices fell," Sinopec said in the statement, without specifying what futures products it traded. Chen is an industry veteran who helped the company become one of the world's largest oil traders. A senior Communist Party representative of the company was also suspended. John Driscoll, managing director of consultancy JTD Energy said as the world's largest crude importer, China is naturally exposed to any upside shifts in the market. "Being net short crude, they are a natural buyer of futures, swaps or call options. When the market tanks, unfortunately, long-side forward hedges are hit with losses," Driscoll said. Benchmark Brent and West Texas Intermediate (WTI) oil prices were down by more than 30 percent at end-2018 after hitting their highest in four years in October. Prices were hit by oversupply concerns as major producers ramped up output while the United States unexpectedly issued waivers that allowed countries to continue importing Iranian oil despite sanctions. "Immediately after noticing abnormalities in the financial indicators. ..Sinopec terminated the transactions and carried out several measures to prevent further losses." the company said, adding it has stepped up internal compliances. Fourth quarter net income, however, was only 2.41 billion yuan, Reuters calculations based on the filing showed, down 86 percent from the fourth quarter of 2017 and Sinopec's worst quarterly performance since the third quarter of 2015. Revenue in the last quarter of 2018 rose to 808.6 billion yuan from 615.2 billion yuan in the same period a year earlier. Sinopec also said on Friday that its refinery throughput last year rose 2.3 percent over 2017 to 244 million tonnes, or 4.88 million barrels per day. Its crude oil output fell 1.75 percent to 288.5 million barrels but natural gas rose 7.1 percent to 977 billion cubic feet. In 2009, three Chinese state-run airlines reported book losses totalling 13.17 billion yuan on aviation fuel hedging contracts.